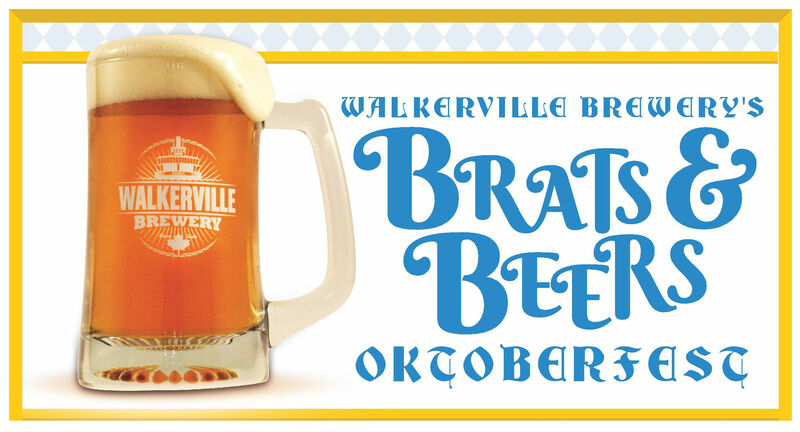 Join Walkerville Brewery this weekend for their annual Brats & Beers Oktoberfest! Their taproom will be transformed into a “Bier Hall” for two nights of traditional Oktoberfest fun as you get your very own Walkerville Brewery branded stein and its first fill with your $10 ticket! For $25, the brewery is also offering a deluxe ticket package now available which includes our Walkerville Brewery lederhosen t-shirt! Walkerville Brewery’s craft beer, including some of their German beer style offerings, will be available for $5 stein refills all night. There will also be Oktoberfest style brats and soft baked pretzels available for purchase as well as live German music to sing and dance along to.